Wolf Commercial Real Estate, the foremost South Jersey commercial real estate broker that specializes in South Jersey commercial real estate listings and services, now has available +/- 2,500 square feet of prime South Jersey retail space for lease in the Shops at Burlington shopping center at 201 West Route 130 Burlington NJ. This retail space for lease in South Jersey is minutes from the Burlington-Bristol Bridge and, in addition, this South Jersey retail building for lease provides maximum exposure to thousands of shoppers every day. The asking lease price for this retail space in South Jersey in the Shops at Burlington shopping center is $15.00-$17.00/sf Gross plus utilities. This South Jersey retail space for lease at 201 West Route 130 Burlington NJ is available for immediate occupancy through Wolf Commercial Real Estate, a South Jersey commercial real estate brokerage firm with expertise in South Jersey commercial real estate listings and services. There’s great visibility offered by this South Jersey retail space for lease which is located in a neighborhood strip center and, as a result, tenants of this South Jersey retail building for lease in the Shops at Burlington shopping center at 201 West Route 130 Burlington NJ have easy access to all points in New Jersey & Pennsylvania. Parking is abundant at this retail space in South Jersey in the Shops at Burlington shopping center, and another important feature of this South Jersey retail building for lease is that it features both pylon and above-store signage. 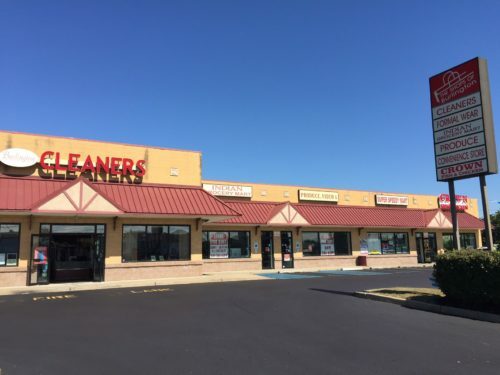 This retail space in South Jersey is being offered for lease by Wolf Commercial Real Estate, a South Jersey commercial real estate broker that specializes in South Jersey commercial real estate listings and services. More than 163,000 residents live within a five-mile radius of this retail space for lease in South Jersey at 201 West Route 130 Burlington NJ, and the average household income within the same area is $79,313. For more information about this South Jersey retail space for lease in the Shops at Burlington shopping center at 201 West Route 130 Burlington NJ or about other South Jersey commercial properties for sale or lease, please contact Jason Wolf (856-857-6301; jason.wolf@wolfcre.com) or Christopher Henderson (856-857-6337; chris.henderson@wolfcre.com) at Wolf Commercial Real Estate, a leading South Jersey commercial real estate brokerage firm. Wolf Commercial Real Estate is a premier South Jersey commercial real estate broker that – in addition to offering retail space for lease in South Jersey – provides a full range of South Jersey commercial real estate listings and services, marketing commercial offices, medical properties, industrial properties, land properties, retail buildings and other South Jersey commercial properties for buyers, tenants, investors and sellers. Please visit our websites for a full listing of South Jersey commercial properties for lease or sale through our South Jersey commercial real estate brokerage firm.